This combination is highly anticipated. 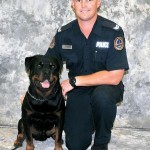 Viper needs no introduction; a retired police dog having served in the most extreme climate conditions that Australia can offer a Rottweiler – and he excelled!!! He is formidable, bullet proof, explosive, driven & highly protective whilst maintaining a clear head, allowing him to work through the most stressful situations that one could put in front of him. 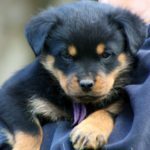 As robust and tough as he is, he is my boy…. 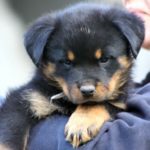 affectionate with family and friends but will not tolerate strangers – this is A REAL ROTTWEILER! 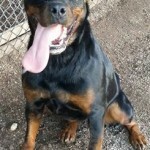 Cali is a medium sized female with extreme drive & energy. Super grips, thick nerves and clear in the mind. She is social, outgoing and very confident. 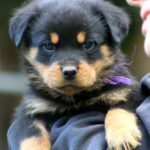 Cali carries some of the best genetics of the Seeuferhause kennel. 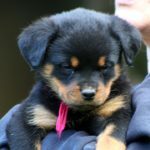 The puppies are showing what we expect, active drives, great appetites, confidence and instinctive full & deep grips! They are normal in size with nice conformation. 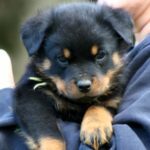 Their genetics dictate that they will be very active, energetic working rottweiler – experienced handlers preferred. 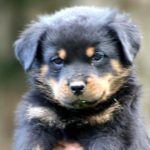 Below are their 6 week photos. Don’t delay…. 3 puppies are reserved. 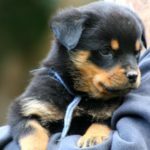 Below is a video of the puppies at 7 weeks old playing in the yard….. they are full of energy, active, have great drives and will make excellent working rottweilers!